Every Life Deserves a Lifetime! Every life deserves a lifetime! That is our theme for the 2018 Life Marches across Louisiana. Every human, no matter their condition, age, or location, should get a chance at life. Sadly, many are never given that chance. Babies in the womb are often aborted after being diagnosed with Down syndrome, while others, facing a variety of medical conditions well after birth, are threatened with assisted suicide. Our voices need to be heard loud and clear to make a change in our nation! March for life this month! 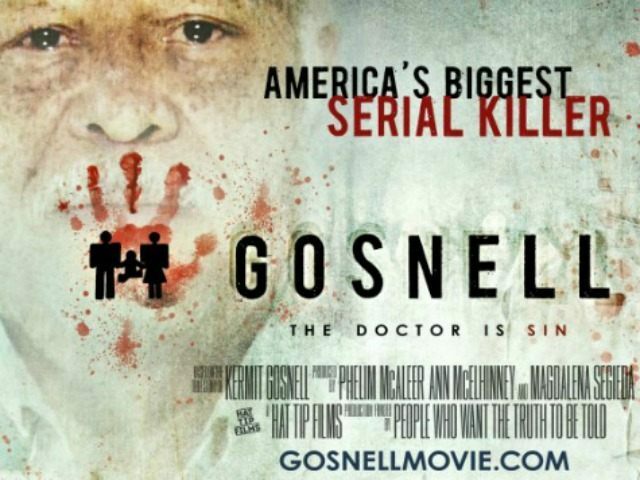 A limited number of tickets are available for a free pre-release screening of the movie Gosnell, the true story based on the actions of Philadelphia abortionist Dr. Kermit Gosnell who is serving life in prison after being convicted of murdering three infants born alive during attempted abortion procedures. The film will be shown Feb. 1 at 6:30 on the ULL campus. Just 100 tickets are available on a first come, first served basis. The film is being brought to Lafayette by producer Ann McElhinney, who will also give a presentation, sign books and do a Q&A while in town. Brian Gunter, senior pastor of First Baptist Church of Pollock and founder and president of the new Cenla Pregnancy Center , has joined Louisiana Right to Life's staff as Director of Outreach. Brian's vision is to unite pro-life churches of all denominations into a singular effort to end abortion in Louisiana and protect the sanctity of every human life. He will work mainly in Central and North Louisiana. Brian previously volunteered with LARTL and helped start the Life March Cenla in 2016. He also began the Cenla Pro-Life Prayer Breakfast the same year. The annual Memorial for the Unborn prayer service will be held Monday, Jan. 22, at noon at St. Patrick No. 1 Cemetery, 5000 Canal Blvd., New Orleans. Archbishop Gregory Aymond will preside over the prayer service and blessing of the new Holy Innocents Prayer Garden. Sharon Rodi, board member, is shown with Proudly Pro-Life Award winner John Smestad Jr. This year's recipient of the Proudly Pro-Life Award, given by the New Orleans Right to Life Educational Foundation at its annual dinner last week, is John Smestad Jr., former Executive Director of the Archdiocesan CYO / Youth and Young Adult Ministry Office who, from 2006 to 2015, coordinated the Archdiocesan Youth pilgrimage to the March for Life in Washington with more than 500 young people each year. The first PULSE Immersion Weekend of 2018 is getting closer! Join us at Camp Istrouma in Baton Rouge Feb. 23-25. Students will have the opportunity to pray at an abortion facility, have lunch at the Governor's Mansion, grow in pro-life knowledge and persuasion skills, discuss effective activism, hear beautiful testimonies, and hang out with fellow pro-life students from around the state. * Northshore - Monday, Jan 29, 3:30 p.m. Please contact Alex Seghers for location. * New Orleans - Tuesday, Feb 6, 5:30 p.m., Louisiana Right to Life Headquarters. * Houma-Thibodaux - Thursday, Feb 1, 4:30 p.m., St. Thomas Aquinas Student Center at Nicholls. * Lake Charles - Tuesday, Jan. 30. Contact Krista Corbello for time and place. Join Lawyers for Life Today! Every life does deserves a lifetime. Just ask Louis and June Charrier, who've spent the past 37 years lovingly caring for their special needs daughter, Nicole. Nicole was born healthy, but at a month old she was involved in a serious car accident and sustained severe head trauma. The injury caused her to go blind and left her with Cerebral Palsy-like symptoms, unable to speak, walk or eat without assistance. While Nicole is unable to do anything for herself, her life has impacted others significantly. That is why her parents will join thousands of others over the next three weeks marching for life. The Charrier family will share their story at the Louisiana Life March South Saturday. Will you be there? Will you stand with them, and thousands of others, and spread the message that EVERY Life Deserves a LIFETIME? If you can't make the Baton Rouge march Saturday, please join us in Shreveport/Bossier on Jan. 27 or Pineville/Alexandria on Feb. 3. Each march begins at 10 a.m. and lasts approximately two hours. There will be speakers and music as well as a ministry mobilization area at each site to spread the pro-life message and help plug you into pro-life efforts in your community. The Louisiana Life March South begins in the grassy area outside the State Capitol near Spanish Town Road and N. 4th Street, proceeds south on N. 4th Street, west on North Boulevard, and south on River Road to the Levee Green near the U.S.S. Kidd. The event program will be held at the Levee Stage. Speakers include Attorney General Jeff Landry and personal testimonies from the Charrier family, Nydia Harman and Charles and Clelie Carpenter. The Bethany worship team, along with Pastor Jonathan Stockstill, will lead music and prayer. The Louisiana Life March North begins at Bossier City's "Louisiana Boardwalk," crosses the Texas Street bridge and concludes at Shreveport's Festival Plaza, where a program will be held. Speakers will include David Scotton ( I Lived on Parker Avenue), radio host Pastor C.L. Bryant, Pastor James McMenis of Word of God Ministries, and others. More than 1,200 Louisiana high school students, 50 Louisiana college students and a number of adults and individual families will be traveling to Washington, D.C. this week for Friday's 45th annual March for Life. Many will also attend Thursday's annual Geaux Forth rally, sponsored by Louisiana Right to Life. This year's Geaux Forth rally will be held at the Washington Hilton. Jewels Green, a post-abortive woman and former Planned Parenthood employee, will be the keynote speaker. New Orleans Archbishop Gregory Aymond and LARTL Youth Programs Co-Directors Alex Seghers and Krista Corbello will also speak, and the pro-life band The Deep Space Network will perform. On Friday, Christian recording artist Plumb! will perform at 11:20 a.m. in the National Mall. The March for Life Rally begins at noon, then the march up Constitution Avenue to the Supreme Court and Capitol building begins at 1 p.m.
Rally speakers include Speaker of the House Paul Ryan; Pam Tebow, mother of NFL/MLB star Tim Tebow; former NFL player and wife Matt and Adrianna Birk; U.S. Reps Jaime Herrera Beutler (R-WA), Dan Lipinski (D-IL), and Chris Smith (R-NJ); and Sr. Bethany Madonna with Sisters of Life. If you are attending but are not with one of the Louisiana student groups, look for the Louisiana banner depicted above and join in during the march.